The Ministry of Economic Development published the World Bank's ranking of doing business in Russia in 2012-2013. Officials believe that, theoretically, Russia could already be in 44th place. The Ministry of Economic Development has posted information on its website that adjusts the World Bank assessment of doing business in Russia in light of the reforms carried out in 2012-2013. The latest ranking saw Russia rise from 120th to 112th place (out of 185) solely owing to tax reforms (up from 105th to 64th place). In December 2011, then Prime Minister Putin set the target for Russia to achieve 20th place by 2020. 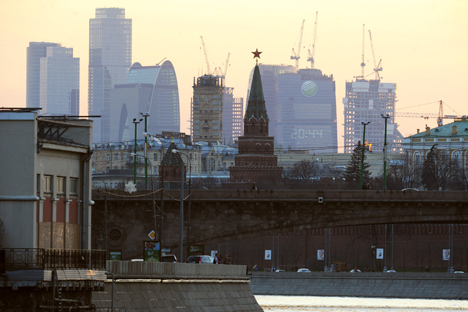 Legislation aimed at simplifying some procedures is being developed at both the federal and regional levels – particularly in Moscow (the doing business measurements are taken in the capital city), says the deputy minister for economic development, Sergei Belyakov. Many of these documents have already been adopted and have come into effect. Many of the changes have been made on the recommendations from the World Bank. The Ministry for Economic Development has calculated how many points Russia would rise if all the planned reforms had been implemented. This is only a hunch, says Belyakov: “We assume that 100 percent of the changes have been implemented, which, unfortunately, is not the case. The theoretical result, according to the reference posted on the Internet, is impressive: The country would have soared to 17th place with respect to the ease of getting construction permits, to 63rd place in terms of access to power supply, to 86th place on international trade, 9th place on property registration and 70th place on registration of enterprises. The Ministry for Economic Development believes that, theoretically, Russia could already be in 44th place. These results were obtained using the calculator on the World Bank site. There has been no revolution in the construction industry, but gradual reforms have been implemented over the last three years, says Alexei Dobashin, CEO of Krost. They are bearing fruit, says Timur Batkin, executive director of the General Directorate Center: This year, approval procedures have become more transparent and the deadlines are being met. Since the summer of last year, a major reform of the regulations on access to power grids has gotten under way, says Sergey Pikin, director of the Energy Development Fund. The new procedure came into force in January, but the practical results will not kick in until May. Meanwhile, no improvements in international trade have taken place, according to Galina Balandina, a partner with the Pepeliaev Group.